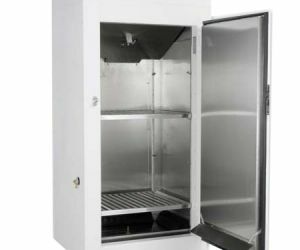 This Percival® Scientific Dew Formation Chamber is great for conducting plant pathology research studies, among other applications. 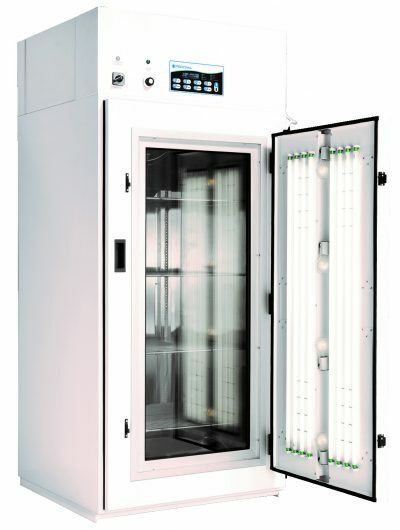 The dew chamber is useful for simulating the natural elements to make dew formation possible. 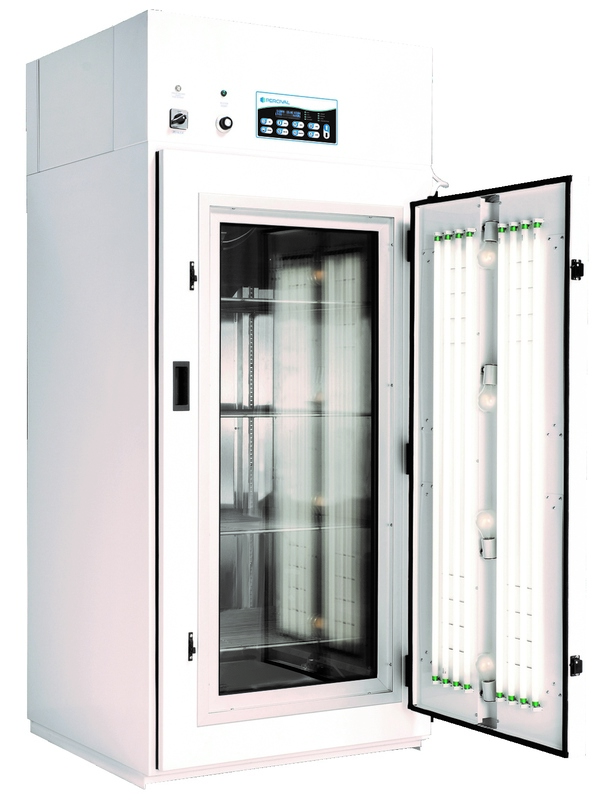 By causing the plants to radiate energy to the chamber heat sink, the plants are maintained below the dew point of air, resulting in natural dew formation. 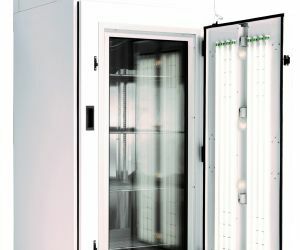 Users can easily and carefully control the interior conditions of the chamber by using the Percival® IntellusUltra controller to meet their specific research needs.